Have you ever been too drunk to karaoke? 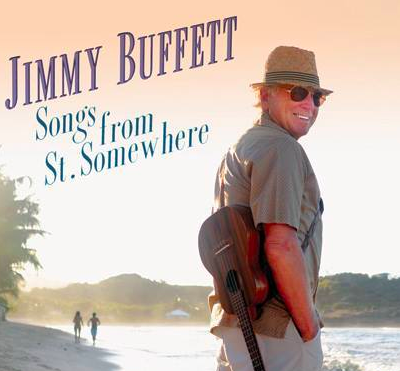 Jimmy Buffett is back with a new album due out later this year. It’s been four years since Jimmy released a new studio album and seven years since he released a country record. But Jimmy has been busy playing on songs with country artists including the Zac Brown Band so he’s no stranger. This time he’s teamed with another one of his buddies for a fun song. I’m sure we all know the character in this one. The great thing about Jimmy is that it’s never been about the traditional way to do things with his music. Once he stumbled on his niche in the music world for letting people escape in the summertime he ran with it and became a genre all his own. My very first boss was a Parrothead. They’re a different breed, but they love to take off for a few days each summer to see the nearest Buffett concert. It’s a crazy thing, but it’s great. This song is right in that wheelhouse of fun summertime music. It’s about a person that has a little too much to drink before they go on stage at the karaoke bar. We all know that person. Hopefully it’s only been you one or two times. I’ll throw my name in the hat I guess, but it’s all part of having a little fun. Toby Keith comes on board to show his fun side. There is no doubt he doesn’t like to take himself too seriously, which is always cool. Fun song that I’m sure people will love.